There isn’t a lot of cross-over between the microfoundations literature (Peter Hedstrom, Dissecting the Social: On the Principles of Analytical Sociology) and the causal-powers literature (Greco and Groff, Powers and Capacities in Philosophy: The New Aristotelianism). People who advocate the importance of microfoundations in the social sciences are usually looking for something like the individual-level mechanisms through which a higher-level pattern or entity comes about and persists. So the most natural relation is between microfoundations and mechanisms. And it is rare to find a powers theorist discussing the issue of microfoundations at all. But it seems that this lack of intersection is the result of a clash of philosophical styles rather than an inherent logical or ontological fissure. The microfoundations group (e.g. Hedstrom, Elster, or myself in earlier versions) tends to be somewhat inclined towards an enlightened reductionism — showing how higher level properties are produced by the workings of a lower level of phenomena. The causal powers group (e.g. Groff, Mumford and Anjum) are stoutly anti-reductionist; they seem to want to maintain that the powers of a thing are an irreducible and essential feature of the thing, not derivative from anything more fundamental. But this opposition between the two research communities doesn’t really seem compelling; it seems to derive from an abstract ontological preference rather than analytical arguments. So let’s consider the question directly: how do the theories of microfoundations and causal powers relate to each other? Is it legitimate for microfoundations stories to invoke causal powers? 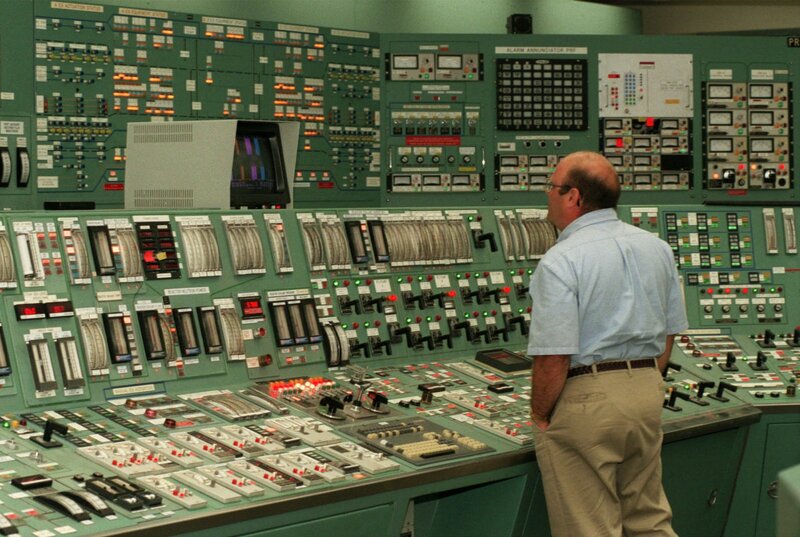 And do causal-powers claims themselves require (or admit of) microfoundations? On this standpoint, powers are attributions we make to things when we don’t know quite enough about their composition to work out the physics (or sociology) of the underlying mechanisms. They do attach to the entity or structure in question, surely enough; but they do so in virtue of the physical or sociological composition of the entity, not because of some inherent metaphysical property. So we might say that the relation among these three ideas goes something like this: A demand for microfoundations is a demand for the causal mechanisms at work within the substrate of the stuff in question. 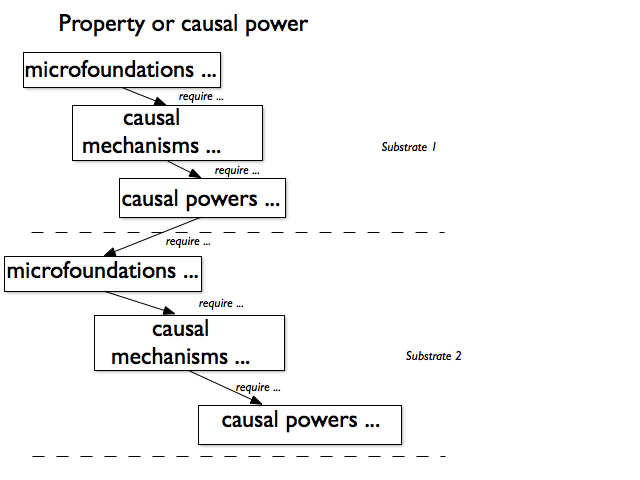 Mechanisms require provisional reference to causal powers; so microfoundations in turn require reference to causal powers. And finally, causal powers at a given level both demand and admit of provision of microfoundations to explain how they in turn work. So microfoundations theorists can’t really dispense with the topic of causal powers, and powers theorists shouldn’t dispense with microfoundations either. The diagram at the top illustrates this logic. It is turtles, all the way down.